2nd Avenue presents an interesting story giving you an exciting access to the exclusive world of elite fitness training in New York City. Following the lives of a group of the Big Apple’s hottest trainers, Work Out New York sheds light on a group of high-end personal trainers where the competition for landing top clients tests even the deepest of friendships. The line-up features Layla Luciano, who has a third-degree black belt in karate; Lena Marti, who is pursuing master trainer status; Noah Neiman, who is endorsed by one of the world's top athletic clothing brands; Courtney Paul, a certified personal trainer who has developed advanced fitness curricula for high-end sports clubs, Lindsey Clayton, Joe Lazo, and Holly Rilinger. From rivalries to romance, these friends and colleagues know they cannot be afraid to break a sweat to make their dreams of success come true. With the swift change of landscape in the fitness world, the trainers cannot miss a beat or they may find themselves trying to catch up. The battle for who is on top never ends and if they cannot keep their professional jealousies, disagreements, and romances in check, the group’s intensity level could skyrocket. Don’t miss the premiere of WORK OUT NEW YORK on March 27, 2017 (Monday) on primetime at 9 PM. 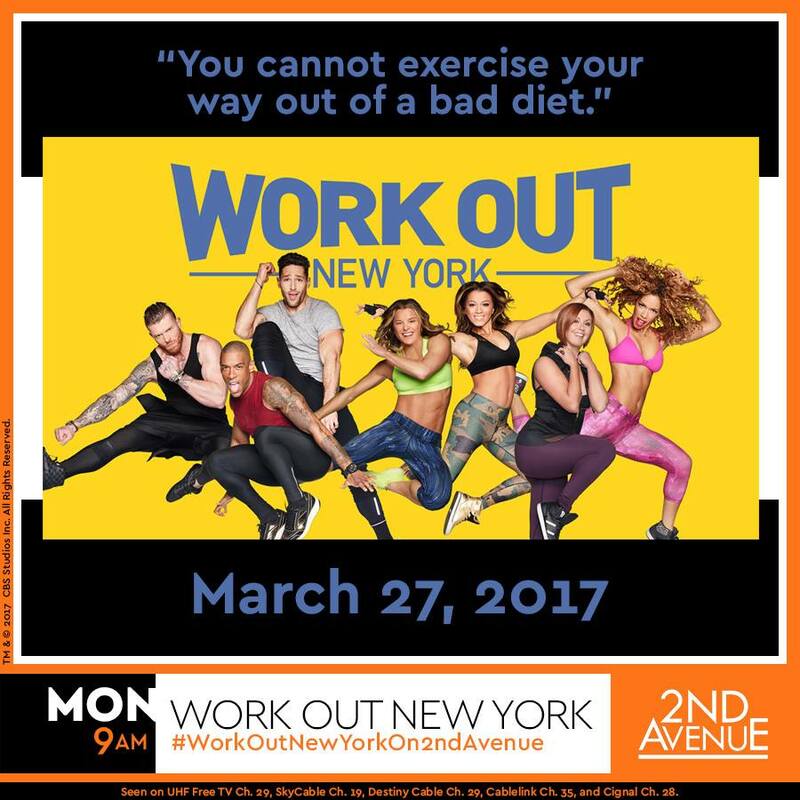 Join the conversation at #WorkOutNewYorkOn2ndAvenue. 2nd Avenue is the only general entertainment channel on Free TV and Pay TV that offers diverse content, featuring delightfully driven characters for the discerning market. Seen on UHF Free TV Ch. 29, SkyCable Ch. 19, Global Destiny Cable Ch. 29, Cablelink Ch. 35, and Cignal Ch. 28.